If you haven't tried Dropbox's writing tool, here's how to get started. People have used Dropbox Paper to create more than a million documents since it launched in private beta a year ago. But if you haven’t yet tried it yet, you’re missing out on an impressive collaboration tool, particularly if you’re already using Dropbox to store your files. You can share and co-author documents, enter comments, and pull in images directly from Dropbox. Here’s how to start using it. Open Dropbox in your browser and select Paper from the left sidebar menu on the main Dropbox page. By default, this takes you the Docs page. (As you create more projects in Paper you’ll be able to navigate between your Docs, Folders, and Favorites using the menu on the left.) Click the Create new doc button on the right. When your new document opens, you’ll be prompted to give it a name and a contextual description. You can create a document right within Dropbox Paper. To give other people access to the document, tap the Share button at the top right to open an invitation to collaborate. Before you enter any names in the “to:” field, click Link settings. Here you can determine who can open the document—only the people you send the link to directly, or anyone they share the link with as well. You can also set editing permissions for your invitees at this point, allowing anyone with the link to edit the document or only comment on it. To start collaborating on a document, set editing permissions and invite people via email. Once you’re done with these settings, enter the email addresses of your collaborators in the field at the top. You have another chance to decide if each individual or group of collaborators can edit or just comment on the doc from the drop-down menu to the right. Add a message and click Send. Everyone you’ve invited will be notified and able to join Dropbox Paper beta and access the document. You can enter comments in a document and alert the appropriate person to address them with an @mention. @mentions: You can make any content in your document visible to a specific collaborator by typing @ followed by their name. The person will get a notification alerting them to the content. Even if they aren’t already a collaborator on that document, they’ll be invited to join and will have the ability to edit or update the document. Comments: Any collaborator can comment on a document by highlighting the relevant line of text and clicking the speech bubble in the toolbar that pops up. Include an @mention for any collaborator you want to alert to the feedback. Comments will be visible to all collaborators in the right margin. Attribution: Any text in a Dropbox Paper document displays its author’s name next to it so you can easily track each collaborator’s contributions. Task lists: You can project manage your document by creating to-do items right inside it. Just highlight some text and click the check-mark icon in the popup toolbar. Enter tasks and assign them to collaborators using @ mentions next to each one. 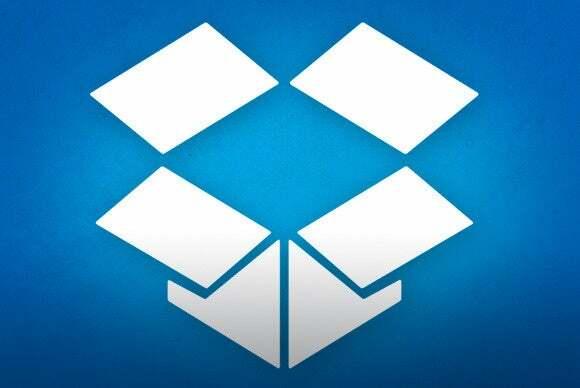 Once you have these basics down, you’ll be able to collaborate on all kinds of documents both through the Dropbox web app and on your Android or iOS device.